If I were to make a list of New Year’s Resolutions – which I will not – I can tell you exactly what would be on it. How do I know? Because I made that list in 1983. And 1996. And 2005. And several other years that there is just no point mentioning. The same three things top each list. I will lose weight. I will get organized. I will stop procrastinating. And thus, I have learned some absolutes about myself. No matter what my size, I will always feel that I need to lose weight and I missed the opportunity to enjoy that not being true. No matter how many cute colorful baskets I tuck my stuff into, I will not develop the personality of an organized person. And with regard to procrastination? Well, we can talk about that later. 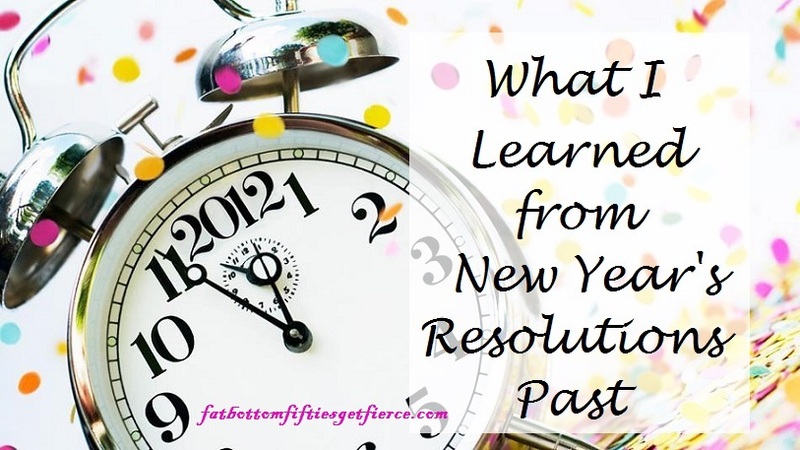 I have learned that no matter how many bite-sized pieces I break down the resolutions to, resolving is just not effective for me. I need something more tangible. Yes, writing things down helps me visualize where I’m going. It’s part of the commitment. But I need a plan of action, a goal, a reward and accountability. I get that the wonderful result is suppose to be it’s own reward. And, of course, it is. But I need to enjoy some aspect of the process, or I won’t stick with it. I want to be one of those damn-the-sacrifice-it’s-worth-the-price kind of people hurtling toward the goal, but over 50 years of living tells me that ain’t happenin’ any time soon! So, with the wisdom and maturity that age brings, I acknowledge I have to bribe myself to get things done. And I’m OK with that. And, on a personal note . . .
We have had a delightful year at FBFGF – thanks to you! As new bloggers, we weren’t sure how things would go, but as we head toward our first anniversary we are smiling broadly at the realization that we have accomplished one of our main goals in starting this blog: connecting with others who also want to celebrate where they are in life, continue to grow and evolve, and have fun doing it. We really appreciate the support, the input, the sharing, the advice, and the humor each of you have contributed – and we hope we’ll see each of you often in 2015. We wish each of you a healthy, blessed, and very Happy New Year!